My library is still too large and this time I’m putting up my Norfolk Island collection of books for sale – there are 99 items available. It is a VERY large collection that covers Norfolk Island, Pitcairn Island, HMS Bounty, Van Diemen’s Land, and convicts. Many of the publications are very rare and not readily available. Prices are less than, and often considerably less than, second hand online prices. 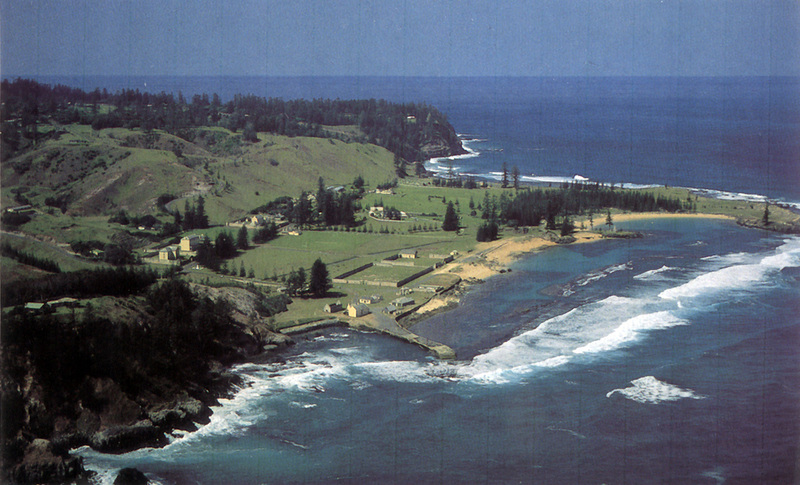 You can download the Norfolk Island list and decide if there are any that you want to move to your library! If someone requests and pays for any items, they are no longer available for others – first in, best dressed. Items can be collected from me on the Bellarine Peninsula [in Victoria] or posted – obviously I will need to check the weight and destination to confirm postage costs which will be added to the price of the book(s). Items must be paid for before they can be posted or collected – direct Internet banking is the preferred option – other options charge too much which considerably reduces the amount I receive. If you wish I can provide contacts of others who have purchased some of my books – they will vouch for me! If you wish to get in touch and/or purchase any books, you can CONTACT ME HERE. In case you haven’t worked it out yet, the majority of my books are for history, genealogy, and research.